Battery Cable Set M151 & M151A1. AJP produces these set in house from all mil spec components including cable. This set is the heavy 2 gauge used on all straight & A1 models. 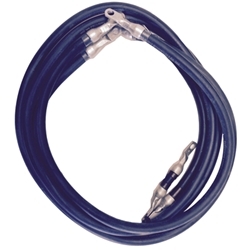 The A2 tended to used the lighter 4 gauge cable which we also have available.